Last week saw the launch of Huawei P30 Pro smartphone in India. 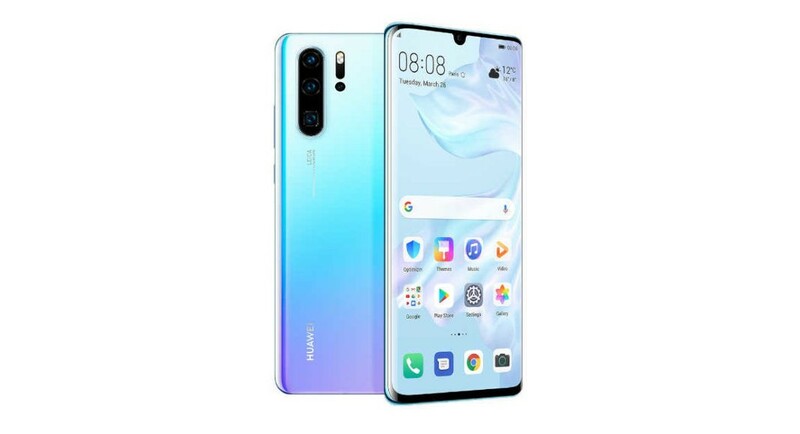 The newly-launched flagship smartphone by Huawei comes with a triple rear camera setup that has support for 5X optical zoom, 10X hybrid zoom and 50X digital zoom. We should mention that this is the first time that a smartphone comes with this feature. The Huawei P30 Pro smartphone is available in only one variant in India that comes with 8GB of RAM and 256GB of internal storage. The device is priced at Rs 71,990 and can be bought from Amazon India and Croma outlets. The smartphone has gone on its first sale on Amazon India today. Huawei P30 Pro is available in Breathing Crystal and Aurora colour. The company is offering early birds an exclusive bundle with the Huawei Watch GT for Rs 2,000 extra (Total of Rs 73,990). Customers can also avail exchange offers on the smartphone and will be able to get a comprehensive 6-month screen replacement worth Rs 20,000. Consumers will also be able to avail a cashback of up to Rs 1,500 on the P30 Pro. This offer will be valid between April 15th to September 21st, 2019. Amazon India is also offering no-cost EMI options on the purchase of the Huawei P30 Pro. Customers will also be able to get an instant discount of up to Rs 1,500 if they choose to buy the device on EMI using ICICI bank credit and debit card. For after-sales service, Huawei India is offering free pick up and drop, expert support, no waiting exclusive service centres and dedicated relationship managers to offer real-time help and support to all P30 Pro buyers. As a part of launch offers, Huawei has partnered with Reliance Jio to bring exciting offers to customers. Buyers will be able to get a cashback of Rs 2,200 in addition to a ‘Double Data’ recharge for first 5 recharges. Consumers will also be able to avail benefits worth Rs 7,800 (including Make My Trip Coupons worth Rs 5,600 & Zoom Car Voucher worth Rs 2,200) on the Huawei P30 Pro. As soon as a customer performs a recharge of Rs 198/299, 44 vouchers of Rs 50 each will be credited to his MyJio account. The newly launched Huawei’s flagship smartphone runs Android 9.0 Pie skinned with the company’s own EMUI 9.1. Huawei P30 Pro is powered by the company’s Kirin 980 SoC clubbed with 8GB of RAM and is available with 256GB of internal storage. The device sports a 6.47-inch full-HD+ OLED display and has curved edges and a waterdrop-shaped notch. For imaging duties, Huawei P30 Pro comes with a quad-camera setup on its back panel. The device has a 40MP primary sensor with OIS and f/1.6 aperture, a 20MP wide-angle sensor with an f/2.2 aperture and OIS, an 8MP camera that is equipped with a periscope style zoom system and a ToF sensor. The smartphone comes with support for HDR+ mode, 5X optical zoom, 10X hybrid zoom and 50X digital zoom. Huawei P30 Pro smartphone features a 32MP sensor that comes with AI HDR+ with selfies and video calls. The smartphone by Huawei houses a 4,200mAh battery and has support for reverse wireless charging.